Handmade Ornaments – Every Year! Carol Ann Waugh has a very personal Christmas tradition, handmade ornaments. Read below to find out what makes them so special. One of my favorite things about celebrating Christmas is putting up the tree and hanging the ornaments. Each ornament I have collected over the years has a special story but the ones I like the most are the ones I made myself. Many years ago, I started a tradition of sewing ornaments to give to family and friends. I felt it was a way for them to remember me and the special times we shared and that once a year, they would touch something I had also touched. It was my way of reaching out to them again and again. So when my grandchildren were born, I decided to make them ornaments every year as well—this time, using photos of them so they could see themselves grow up as they placed the ornaments on the tree. These are the ones I made of the two grandkids and the parents. I’m looking forward to helping them decorate the tree this year and seeing the kids faces as they search for their special ornaments and remember what they looked like when they were younger! If you want to make these for your family and friends, the directions are really simple! Select your photo and crop to 3-1/2″ x 3-1/2″ Print your photo on fabric (I used June Taylor’s Colorfast fabric sheets for ink jet printers). Choose a Christmas themed fabric and sew a 1 ” border all around the photo. Add batting and a backing and free motion stitch around the background to hold everything together. Trim to 4″ x 4″ and add a rattail binding around the edges. To see how to do this I created a video in which I demonstrate the rattail binding technique. Leave enough rattail to tie a bow at the top so you can hang the ornament on the tree. I hope this inspires you to make some photo ornaments for your own family and friends this year! For whom would you create handmade ornaments? A winner will be chosen at random on December 3, 2015 and announced later this week! Congratulations to our WeAllSew reader “jencat22”, the winner of the December 2 gift. Enjoy! Previous Previous post: Countdown to Christmas starts today! I give handmade ornaments to my family. Our sewing guild has gift exchanges that often include homemade ornaments. I have made ornaments for many years for my family…some quilted, some knitted, some needlepoint. I have made some for myself as well and they are my favorite ornaments on the tree. I would make homemade decorations for my family and friends. Every year make new ornaments. I have made handmade ornaments for each of my four children, my mom and my mother-in law. Handmade ornaments go to friends and family. I make ornaments for my Grandchildren and very special people in my life. I am always looking for new ideas. thank you for the new pattern. I give handmade ornaments to friends. I make handmade gifts to my sisters and friends. My family and friends. I love to receive homemade ornaments from my nieces children as they grow up. I will create handmade ornaments for my grandson. I want to keep the tradition of giving handmade ornaments to my grandchildren like my mother made for my children. My children cherish those ornaments to this day! 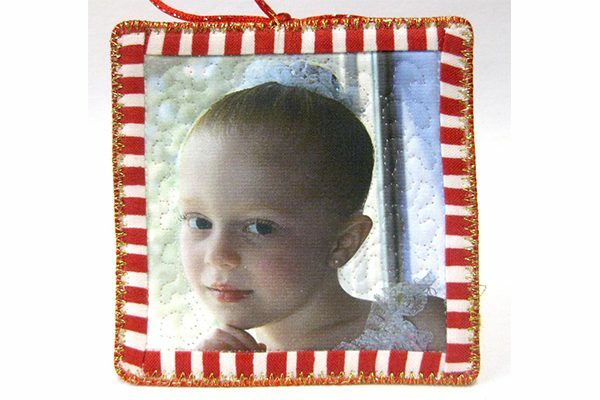 I would love to start a tradition of making ornaments with pictures of each of my children each year, just like Carol Ann does. What a great idea! I make ornaments for all my nieces and nephews every year. I give homemade ornaments for my children and grandchildren. I give handmade ornaments to my family and friends! Making ornaments for my children and grandchildren and my quilt group. Love this idea for hand made ornaments, I would make them for my family! I know my daughter is looking to make some of the horses at her barn, these will be cute. I have a tradition of giving ornaments to my nephews. These are so cute. I would make ornaments for my grandkids. I make Christmas gifts for family and close friends, and I have made many different kinds of ornaments. I am always looking for new gift ideas and that is why I love Bernina’s experience and We All Sew web sites. There are so many projects to make! Thanks Bernina for all of the inspiring ideas. Very clever idea! Since their introduction in 2007, I have been using the OESD Holiday Collections to make personalized Christmas ornaments for my family. A handmade ornament is a perfect gift to give to each of my girls in my Girl Scout troop! Nice keepsake! i make ornaments every year for family and friends; this year i made log cabin chickens in Christmas fabrics. I like to give my mom ornaments with pictures of my children. An ornament for my 3 year old granddaughter. I give her ornaments each year and these would be perfect. I would sew Christmas ornaments for my one and only granddaughter, Junipter … the light of our lives these past 4 years. Most of my handmade ornaments are for my family. You have inspired me! I can do this!!! I would create handmade ornaments for my mom, who has introduced me to sewing as well as my son and husband. I am new to sewing so I am LOVING this blog and the site with all of the wonderful ideas. Thanks & keep ’em coming!! I’m making an ornament for my cat, who loved to climb the tree, with catnip and toy mice she can knock down to the ground and play with. I had a cat for many years, and loved creating toys, and cat beds for her. Kitties are very appreciative! What a unique and personal idea. I make handmade ornaments for my family and church quilt group. I like to make ornaments of my family’s pet pictures. Everybody loves them and they’re so easy and fun to make. We made handmade ornaments in Craft club. They had to be an original and make thirteen of the same ornament. We then exchanged them at our Christmas Party. That was many years ago, but I cherish each one as I hang them each year. I’ve already started on ornaments for my three grandchildren! A Christmas tradition that I have shared with my daughter every year is giving her a Christmas angel ornament or decoration. This year I made her an embroidered Christmas angel using my Bernina sewing/embroidery machine. It was one of the first designs I attempted and it turned out beautiful. I can’t wait to give it to her. Now, I think I should expand this tradition to other family members. Mahalo and Mele Kalikimaka! I would give handmade ornaments to my family and friends! I’m going to make one of my Shih Tzu pup for this year’s tree! Carol Ann, thoroughly enjoyed your Craftsy classes!! I have made photo ornaments in prior years for me. Love Carol’s idea and will do that this year. I make ornaments for family & friends and enclose them in my holiday cards. It is fun to come up with a new design each year. I would make handmade ornaments for my family and friends but especially for my son. He will be graduating from boot camp in a few weeks and heading off for the Marine corp for five years. I am going to start with an ornament this Christmas, since this will be his last Christmas with the family before he ships off. I think this will make a wonderful tradition, to make him one every year and give them to him once he comes home, to put on his own christmas tree. Great idea. When I have given handmade ornaments, they have usually been to my mom. She decorates a special tree with ornaments made by family members, and I always look forward to it. Some of the ornaments are >40 years old now. I would make ornaments for my nieces and nephews. I’d give handmade ornaments to my children, grandchildren and friends. I would make an ornament for every pet. Perfect for my kids. I have their school picture for each year that will be fun to make for them and a great trip down memory lane since they are now in high school and college. Oh I will see these for new parents and grandparents!! Such a great idea AND I really like the idea of how the chIldten will recognize themselves in the years ahead!! 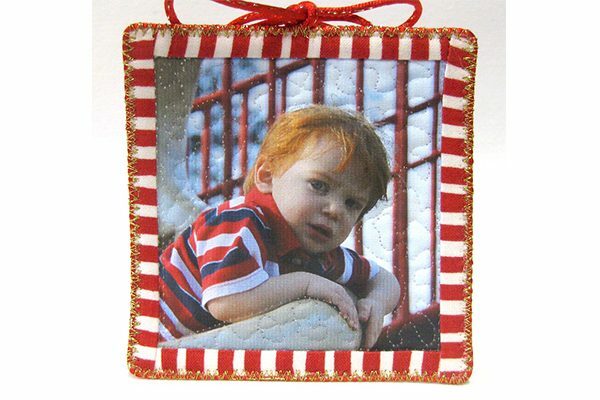 I love the idea of printing picture on fabric for the homemade ornaments. Great for giving to grandparents. I would only make kitty faces for my CCL friends. I think I will try this cute ornament idea for my first grandson celebrating his first Christmas this year. Thank you so much for the great idea. I’m making tree ornaments for a Boys’ Town. They’ll all have the year and name of the facility on them with a little note to hang the keepsake on their own tree each year to remember the year that was a transition in their lives from on the streets to going to college. The leaders at this facility do amazing things to turn these troubled boys around and get them through high school and on to college. Their first suit ever is purchased by Boys’ Town for their senior prom and graduation. Most of them never had a Christmas gift. There is a league of women that work hard to put together a package for each boy at Christmas time. I have tears every year time they get up and tell their stories of where they came from and where they’re now headed. It’s so inspiring. Imagine when they have a family and they lift their little one to hang that ornament on the tree and remember how their lives changed that year! I have made handmade ornaments for the members of my first grade class. I have made homemade ornaments most every year for the last few years for my family and co-workers. My co-workers tell me my gifts are the best because they are from the heart. What a great idea! I would make them for family and friends. Great way to keep memories, so I would include the year and some little description (skiing vacation 2015) on the back. My husband and I were married while we were still in college, 49 years ago, so home made ornaments were a necessity. I shiver when I think back to those first gifts. Now I make ornaments as a gift of love, thankfully they have evolved as the years have past. I would make handmade ornaments for all my lovely friends in my knitting circle who have been there for me so much over this past year. I make Christmas ornaments mostly for myself, but I also make them for my family. Thanks! I would make them for my parents. They are very sentimental and appreciate handmade items. Photo frames ornaments with pictures of Christmas past would be wonderful for them. They have recently lost several friends, so it might be nice to include pictures with lost loved ones. I would make handmade ornaments for the ladies in my sewing/quilting group at church. Sometimes it is hard to get some of the ladies to think out of the box. By making small projects like ornaments they can see how easy and fun trying new techniques can be. I love to make ornaments for my children’s teachers and bus drivers as well as family and friends! Family, homemade ornaments make the tree sparkle with loving memories!! I make ornaments for my own tree as well as to give as gifts to my family and friends. I would make them for my granddaughters. I would make handmade ornaments for my family and close friends. I love making special ornaments for my grandkids and quilting buddies. They were all given a special christmas stocking when they were born – the designs chosen by their parents. I am now inspired to make some picture ornaments! Thank you for the inspiration! I have made ornaments for grandparents, parents, siblings. This year I would like to help my kids made them for the grandparents and make a special one for the hubby! It is always so much fun to pull out the memories and place them on the tree. I make ornaments to decorate the wrapped packages for my family and friends. Handmade ornaments are memorable, valued and kept year after year in our family. Friends love it when I make give them one which I usually tuck in their Christmas card! Thanks for the creative idea of using photographs! I would make handmade ornaments for myself and a few close friends. I will give them to my grandchildren. I’ll use pictures from our summer camping trip. Dec 3 is my birthday so I’d love to win! I make ornaments for family. I like to get children involved in crafting ornaments too. I love making ornaments, and have made them for my son, co-workers, relatives. i would definitely give them to family. I have 7 grandchildren and each one has their own “handmade by nana” photo ornament …..so do the “grand-dogs” !!! I love making ornaments each year, it used to be my husband’s parents would make an ornament for all of the family members. Since both have passed away, I am keeping up the tradition, hopefully one of my grand daughters will continue after I am gone. I’d create ornaments for my family, especially my nieces and nephew. I’ll make ornaments for my grandchild and my garden club grab bag. This sounds great. I have 4 grandchildren. I think this will be a unique keepsake. Just bought my machine yesterday. This will be my first project! What a special tradition! These ornaments are beautiful. I make handmade gift ornaments for my grandchildren. Your ornaments are beautiful! I would make these for my grandchildren and get my sister-in-law to join in on the fun, so she could make some for her grandchildren, too. I make homemade picture ornaments every year for my mother-in- law. She decorates her tree with all her children, grandchildren, and great grandchildren every year. I would make a handcrafted ornament for my grandsons (I only have 4 grandsons at this time!) to remind them they have a loving Tutu (Grandma) in Hawaii!!! I think it would be fun to make ornaments with my kids. I’ve made personal ornaments for my 2 daughters for years, and it has now extended to my 3 grandchildren. I also put lace ornaments on all packages for my friends. For my family and close friends…who else? I have already made ornaments for my son. I hope that someday he and his family will enjoy putting them on their tree. I love making gifts and ornaments by hand. Keeps me busy and sane since I am no longer able to work. Ornaments for family and close friends. Merry Christmas!! I make ornaments for every member of the family under 18 so when they move into their own homes, they have at least 18 ornaments to decorate with. Christmas is my favorite holiday and do Christmas quilts and holiday pillowcases for all the kids. 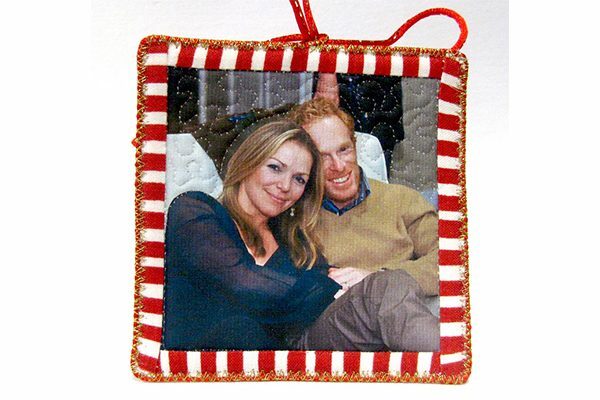 Thank you for posting this great idea for keepsake ornaments, my next project! I will make them for my grandchildren. I make handmade ornaments and candy cane holders to take to our local nursing homes. It brightens up their day for someone to bring them treats they would normally not get. I am no longer able to put up a tree but a simple Christmas garland is the perfect way to display all of the keepsake ornaments that I have accumulated through the years. Lovely to look at ? I make ornaments for my family and friends at Christmas. These are awesome. I would make them for family and for our tree. I would make ornaments for family and friends. I would make them for my mom. I make handmade ornaments for my grandchildren. I make ornaments as gifts for family and friends. I will make handmade ornaments for my grandchildren. I give them ornaments for St Nicholas day each year. That way, they get their ornaments in time to enjoy them. St Nicholas day is Dec. 6th each year. I’d make ornaments for my daughters and my friends at work. Each year I give an ornament to my daughter so she will have a collection of memories for her own tree one day. These ornaments are a great idea! There are a few widows in our church whom I think would appreciate a handmade ornament. I most definitely would give them to my loved ones. Friends , relatives, neighbors and also charity !! and all my friends at work. I would make these for my 3 wonderful children. Now that they’re grown, they only get to see each other a few times each year. This would be a great way to remember their times together and to celebrate them. Very cute and clever idea! Thanks! 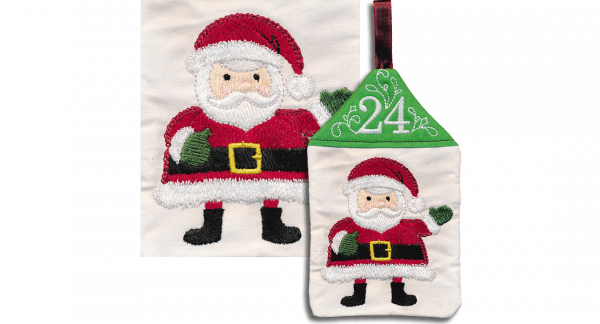 I have made hand made Christmas projects for years – everything from the stuffed Christmas trees that were so popular many years ago, various sized Christmas tree skirts, and original ornaments. They were given to family, special friends, my daughters and some of their special friends. Now that I also have an embroidery module for my new Bernina 560, I’m working on keepsake ornaments for my two adorable grandchildren. Depending on how well I do with these, I hope to have some time to make some for special people who seldom receive any Christmas gift, no matter how small. If this doesn’t work out as well as I hope it will, I will start early to have a collection for next year. Wish my luck, please! I have a whole stash of holiday material I’ve collected over the years! One of my favorite things to do at Christmas is give ornaments, therefore I give ornaments to everyone! Hopefully everyone likes getting them too! I love making homemade ornaments I’ve been hooked on FSL snowflake ones. I make them for family. My oldest grandchild is 22 and starting her own Christmas tradition. I want to make her an ornament each year to remember me years from now. I made ornaments for my children when they were little. Now it’s time to make them for the grandchildren! I have made them for our parents using the kids pictures. I love to make handmade ornaments for family and friends. I’m going to try today’s project. It’ll be a first printing photos on fabric. First Christmas with a Bernina!! Love all these great ideas!!! I would make handmade ornaments for some of my close friends. I will make them of my lovely grandchildren. I have been blessed with 5! I have created handmade ornaments for nieces and nephews. Recently, for my daughter’s music students for Christmas gifts. I make ornaments for family and friends. Somehow the amount keeps growing – especially with new grandchildren joining the family! I make ornaments for my grandchildren and all of their classmates and friends. Thank you! I make ornaments every year for friends and family to hang on their trees. Almost all of the ornaments on our tree are handmade. The others are antiques from family. My children, spouse, siblings, and best friend get my handmade ornaments. I make handmade ornaments to use as package decorations in any season. The ornaments can be used as desired by the recipients, usually friends and family. Rarely do the ornaments use photos. Instead, I create ornaments related to their current interests, activities, or the season. I would make a handmade ornament for my sewing pen-pal. We love to make things and swap them. I picked up this tradition from my aunt, who has made a Christmas ball ornament for her husband every year they have been married. I started the first Christmas I was dating my husband. However, I have to admit that I relaxed the rules and don’t always make an ornament. For the last three years, I’ve also been making one for our daughter. They are lovely – such a brilliant idea! I made 24 felt ornaments for a Christmas countdown calendar for my 3 year old grandson this year. We do handmade ornaments every year. We compile a list (shared on Pinterest) and then settle on what supplies we have, what we need and after we are done, we put a tag on the ornament with the year made and any other information that is important (kind of like a recipe) – we also make cards for all occasions. It helps us stay connected as a family! I have been making handmade ornaments for my family menbers since the days of plastic needlepoint canvas in the 80s. Today they are most often quilted. I’ve never made ornaments for my family but I think it is a wonderful idea! I hope I can begin this tradition this year. Thank you for the awesome idea! I would make them for my family and friends. I have made them for family and friends, to sell at the church craft sale and for myself. It is wonderful to find, hang, and remember the ones given to our parents who are no longer with us. I would surprise my kids and grandkids.